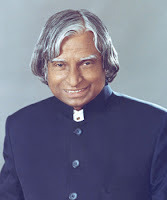 The country's former president AP J. Abdul Kalam on Thursday, Indian Institute of Management (IIM) in Lucknow on the sidelines of the annual entrepreneurship shared their experiences with the students. Former President Kalam IIM - Lucknow shared their experience with students. Kalam to ensure students excited to participate in nation building. Theme of the annual conference in India: business and it was put forward.